Mary Sullivan spent a great deal of time drawing in her formative years. Though she received a BFA from the University of Texas at Austin, she considers herself a self-trained illustrator. Ms. Sullivan has shown her work at galleries and coffees shops in Dallas and Austin. She channels her considerable creative energy into projects for Highlights for Children, Scholastic, Innovative Kids, School Zone, Oxford Press U.K., Pearson and many more. 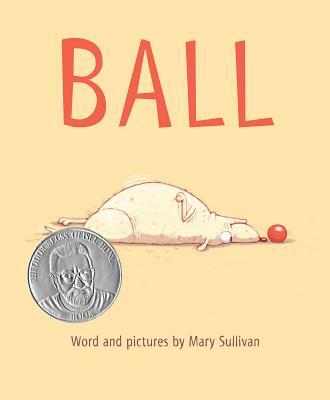 Her first picture book for HMH, Ball, was a 2014 Geisel Honor Book. She lives in Cedar Park, Texas. "Illustrator Sullivan makes a hilarious debut as an author by touring the brain of a ball-obsessed dog. . . . It's a paean to the neurotic single-mindedness of dogs, and a brilliant study of boredom." "A humorous portrait of a dog with a one-track mind. . . . A fine choice for independent readers and dog lovers everywhere." "Deceptively simple little winner for dog lovers." "Everything from the dog's brief encounter with a cat to his extended, ball-centric dream, told in full-page drawings, will make viewers giggle along with the story. Even those who have never had or wanted a dog will find themselves pining for a canine companion with similarly irresistible exuberance." "Sullivan deftly captures doggy poses that run the spectrum from ecstasy to dejection. . . this will be a natural decode-alone for kids who are accustomed to parsing pictures, and they'll delight in the ability to read it all themselves." "Ball is one long joke, but a good one. . . . Get this dog a frisbee and a follow-up."